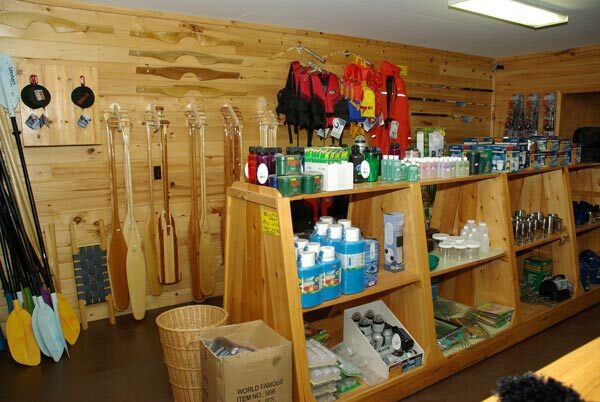 We specialize in camping gear, such as day packs, canoe packs, food barrels, waterproof bags, tents, sleeping bags, self inflating sleeping pads and tarps of all sizes. 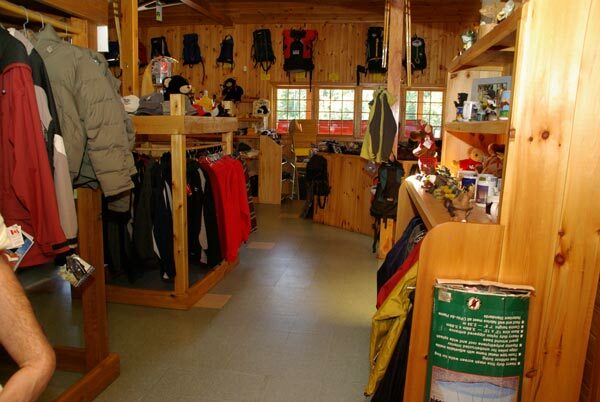 We carry a full line of hiking boots, sandals, polar fleece clothing and children’s clothing, as well as rain gear for all ages. 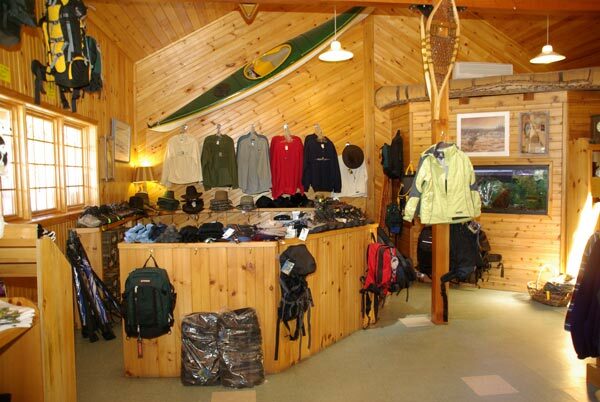 We also have a large variety of Algonquin T-shirts and sweaters for the perfect “take-home” souvenir. 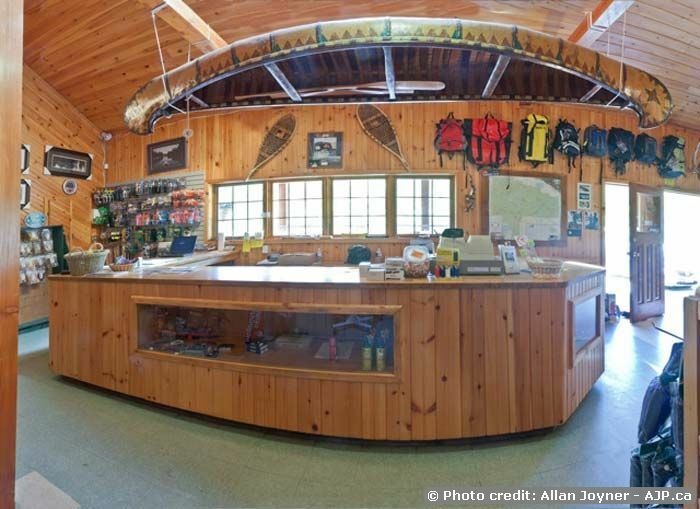 You’ll also find items such as topographical maps, canoe route maps, waterproof maps, paddles, lifejackets, tripping foods, energy bars and the largest selection of fishing tackle in the Algonquin Park area. While visiting our store, check out our new Fish and Chips stand. We serve fresh cut fries, handmade hamburgers, sausage on a bun and more! Our cod tails are dipped in our own homemade batter.